October 26, 2017, 8:30 am. SUP46 member YouModels.com is an online platform for booking and managing models with agency contracts. Their unique search engine allows advertisers to easily find and “book the look” without multiple contact points at different agencies. We asked founder Laura Lilja a few questions about their recent funding round and merge with Global Models Inc.
– How did you get the idea for YouModels? The idea of YouModels came back in 2011 when one of our founders needed to book a model for a campaign. He found the process was very time consuming and it was hard to find what he was looking for, so the idea of a platform that collects all of the world’s models in the same place, where it is possible to search for the exact looks and/or measurements, and in an exact location was born. Basically like Booking.com for professional models. – What is the biggest challenge the model industry faces at the moment would you say, and why? The model industry is very fragmented and competitive, and agencies are in generally very small, with no money to invest in marketing or tech. There is no centralized booking solution for professional models and the industry itself is very old-fashioned, but it recognizes that there needs to be a shift to digital. – You recently merged with Global Models Inc and at the same time took in some funding, can you tell us a bit more about why they were a good fit? Global Models inc is a scouting platform for models. It was founded by Maud Kerzendörfer who has been working as a model scout for 30 years, scouting models for IMG, Ford, Wilhelmina, Mikas, etc. The Global Models inc website and business idea was very similar to YouModels, both wanted to digitalize model industry, whereas Global Models inc was focusing on freelance models and YouModels only professional models. Through this merge we can cover an even bigger part of the model industry, all the way from scouting to bookings of both commercial and freelance models. Maud’s industry knowledge and network is priceless and something that YouModels was lacking earlier. 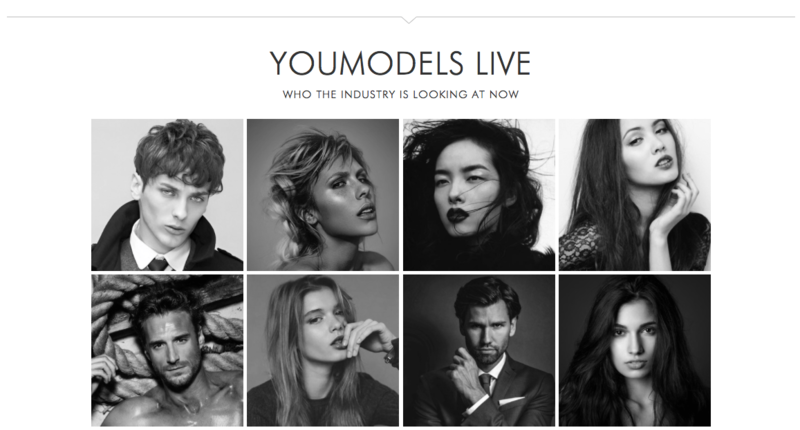 YouModels on the other hand is contributing with our strong business side and technical team. Global Models inc already has a steady revenue flow and around 11,000 members. The plan for the rest of the year is to focus mainly on Global Models inc – to grow the number of members (freelance/commercial models) on the site and get more of them to convert to premium (paying) members. We recently changed the company name and now have an umbrella brand, Global Models Group, for the two platforms. – Where do you see your company in 12 months’ time? We have managed to achieve a strong position in Sweden as a “booking hub” for commercial models (GM inc) and are steadily entering the professional model market, where model agencies see us as a marketing tool for their models rather than a competitor. We are also doing conversion analyses for a few different e-commerce companies that have managed to increase their revenues through optimized model selection. We have also raised more money to accelerate the growth by hiring more key persons within sales and tech/data. – What does “conversion analysis” mean? In brief: imagine two different models wearing the same clothes. One model sells the clothes much better than the other. E-commerce companies recognize that this is a fact but have yet to analyse; Why? What attributes makes one model sell better e.g. sports- or swimwear? We can do a data analyses based on their website data, find certain patterns and identify the model attributes that are affecting the click-through-rate and conversion positively. Through this approach an e-commerce company can increase their revenues significantly, only by optimizing the model selection, or finding the best “Brand-Model-Profile”. – How do you see that a SUP46 membership can contribute to you reaching your goals? SUP46 has an extensive network both within investors and other companies. Through this network we are able to meet and discuss with people who can give us important feedback based on their success/failure. It is also a great meeting point with inspiring individuals and companies, and that gives us positive energy. – What do you wish you would have known before commencing your startup journey? You really need to be excellent in sales! – What is SUP46 to you in one word?